It’s spot-on assessment.. After cherry-picking narratives and ignoring unpleasant truths, the Republican base took it upon themselves to celebrate Bush’s disastrous wars and ignored former Governor Romney’s healthcare plan while spending the next eight years fighting against it on a national level. The GOP establishment is entirely without coherent principles or values; they just adjust their platforms to whatever demands their oligarch puppet-masters make of them each election cycle. 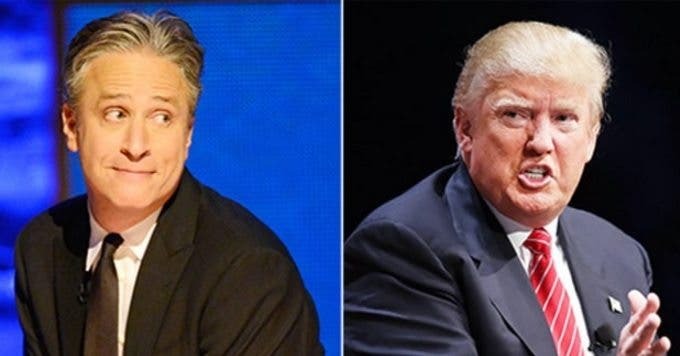 Both comedians speak to the utter lack of substance and that has framed the Republican primary. The ideas of Trump exist in a universe of delusion that has no connection with the realities that our next president must face – and the fact that this doesn’t bother his supporters should be a glaring warning for us all. Jeb Lund has a Twitter account and it is highly entertaining. Colin Taylor also has one, and would appreciate a follow.